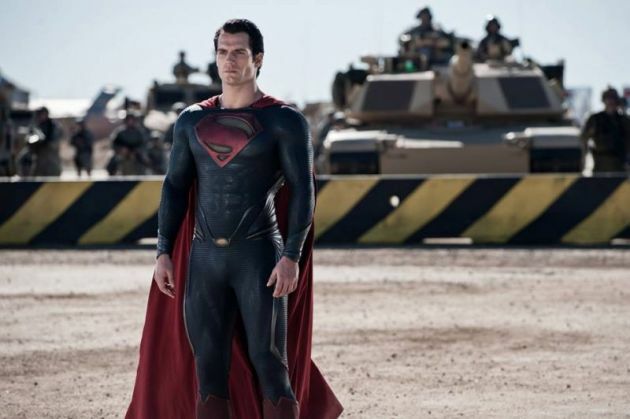 (Facebook/Man of Steel)Will the "Justice League" movie feature a black-suited evil Superman? Henry Cavill's recent Instagram post gave a major hint as to what fans can expect from the upcoming DC and Warner Bros. movie "Justice League" as far as his Superman character is concerned. Based on the photo that Cavill posted on the social media site, it is now assumed that "Justice League" will be weaving in a famous DC comic storyline in the movie, "The Death and Return of Superman," which ran in the '90s. In the said story, Superman meets his demise in the hands of Doomsday and returns wearing a black suit with a silver Superman emblem. While it is true that Superman continues to be a good guy upon his resurrection in the "The Death and Return of Superman," it remains unknown if the same thing will happen in "Justice League." After all, in the comic books, there is another black-suited Superman who sides with evil: a clone of the Man of Steel that was created by Darkseid. However, there are those who believe that the black-suited Superman will be based more on "The Death and Return of Superman" storyline. After all, it is the "Justice League" movie, wherein the other DC superheroes are gathered to fight evil, Steppenwolf in this case, and the resurrected Superman is needed to help the members of the league in their quest. To the uninitiated, Superman dies in the March blockbuster "Batman v Superman: Dawn of Justice." However, the end of the movie suggests that he is not really dead after the soil on his grave moves. In the comic books, Superman does not really die but, instead, in a serious state of low power that leaves him in comatose. He is then brought to his Fortress of Solitude, where he is dressed in the black suit. The suit is actually a Kryptonian battle armor, which has been designed to come with the black color so that it can absorb the sun's rays more effectively and heal the wearer much faster. Will Cavill be an evil Superman in the "Justice League" movie because of the black suit? Or is "Justice League" simply adapting portions of "The Death and Return of Superman" storyline in the comic books? Find out when "Justice League" hits theaters in November 2017.